Local company sends a piece of Albuquerque to space on Blue Orbit rocket. 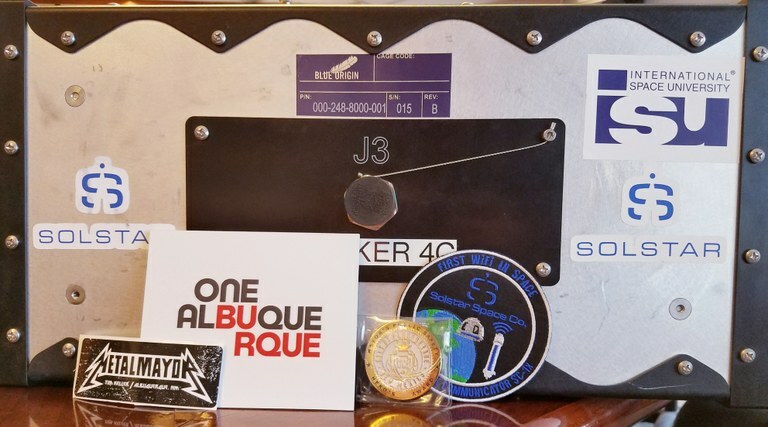 A small plaque emblazoned with “One Albuquerque” was included on the Blue Origin rocket in a payload carrying equipment from New Mexico-based company Solstar, which provides internet and communications services in space. Their equipment facilitated the first Tweet from space during the previous Blue Origin launch in April. CEO of Solstar Brian Barnett invited Mayor Tim Keller to include a memento from Albuquerque in the launch.